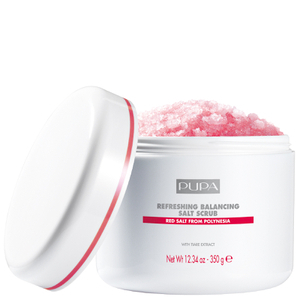 Refresh and revitalise dull, lacklustre skin with the Rebalancing Home Spa Salt Scrub from PUPA. 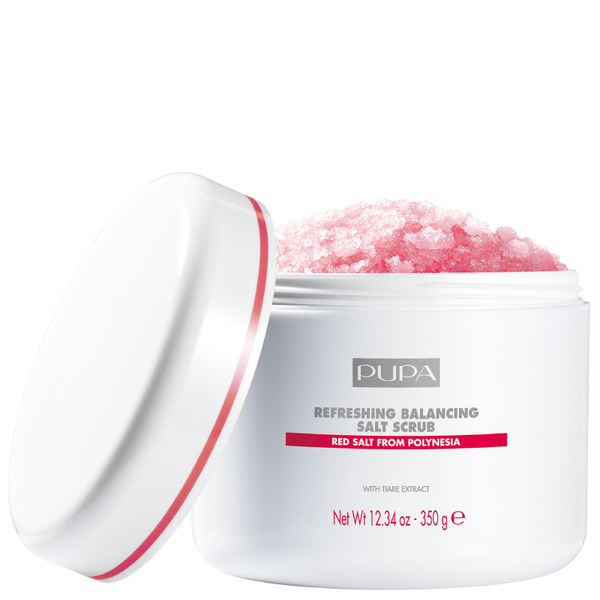 Expertly formulated with a delicate blend of Polynesian Red Salt and Tiarè Flower Extract, the natural exfoliator effortlessly sweeps away dirt and impurities while penetrating skin tissue for a firming effect, minimising the appearance of lumps and bumps. Experience a subtle tingling sensation as the advanced formula releases Active Oxygen, optimising the delivery of essential nutrients for maximum benefits and effectively creating the appearance of a smoother, more sculpted silhouette. Recreate a relaxing, spa-like ritual from the comfort of your own home and achieve skin that feels velvety-smooth and replenished with a luminous glow.